Toybank visited Apnalaya in March to see the functioning of our Play centre there. 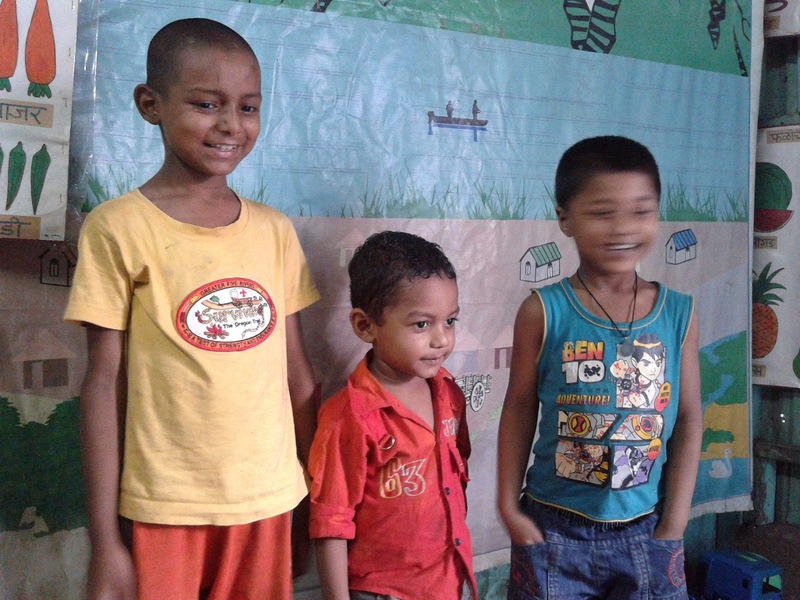 We were glad to see that the toys we provided encouraged the children at their Nutrition centre and made them happy. "The children at our centre are severely malnourished children from the slum near Deonar Dumping ground. These children do not even have the strength to jump, walk or even sit straight for a lot time. Even though we provide them with nutritious food, they need some stimulus to get out of the passive mode. This external stimulus is provided by the toys donated by Toybank. These toys which are colorful and makes sound, creates interest in the child, and the child, starts walk to grab it and holds and plays with the toy. This makes them more active and receptive to the world around them. It would be great to get continuous support from Toybank, to provide toys to these children who have seen nothing but hardships since birth." Toybankers gathered themselves on the 11th of April to spent some time with these children and distribute toys to them. We played games like passing the parcel, and throw in the bucket, etc. with the children. Some of the children were passive, but few of them played the games with us. Later on we distributed toys to all the children at the centre. We also left toys for the children who did not attend the event. Toybank donated new toys to the Apnalaya Play Centre and chalked out a plan with the teachers to visit the centre once a month and play with the children! For more details on the Toybank Play Centre at Apnalaya or to visit this centre you could e-mail us on farnaza@toybank.org or call us on 022 24458235. Check out the event pics here! !